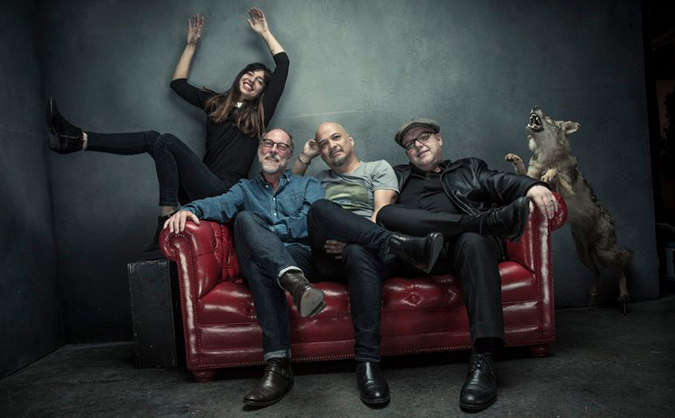 The Pixies have announced a new album, and they’ll be sharing its creative process (and promoting its release) with a new podcast. The podcast is titled ‘Past Is Prologue, Pixies,’ and it debuts June 27th (subscribe here). The forthcoming Pixies album is their seventh. The title and other information is yet to be revealed. According to a new trailer for ‘Past Is Prologue, Pixies,’ the podcast promises to “expose you to the creative process of The Pixies, pioneers of the alternative/indie rock genre and one of the most influential bands in contemporary music.” Author Tony Fletcher (author of books about The Who, The Smiths, and REM) will host the podcast.